Attention all parents and guardians! Campus Parent puts your student’s school information at your fingertips. 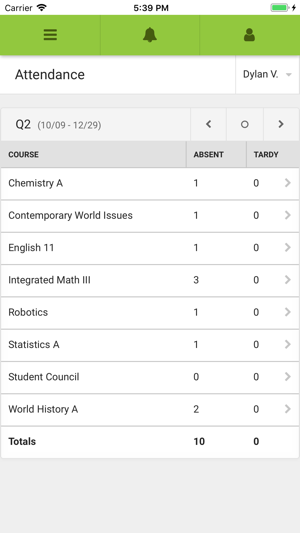 Real-time access to announcements, assignments, attendance, grades, schedules and much more. Much easier to use & understand! I really appreciate the recent changes made to this app. I don't normally write reviews but this is an app that I use nearly everyday. I have a very intelligent child, albeit, a lazy one. He is constantly turning things in late etc... I am able to stay on top him and his assnmts & due dates using this app. 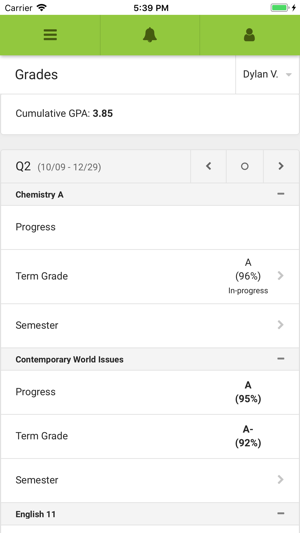 The recent changes have made tracking assnmts, duedates, grades , etc...so much easier. I used to get so confused and frustrated using the old version. Ugh,it was dreadful! Now, I can log in, find what I need, and go. I give it 4 stars only because, as with everything in life, there is always room for some sort of improvement. However, this app is truly a wonderful thing and has opened a whole new line of communication between the school (teachers) and myself, but most importantly, me and my child. So far, I'm loving it! This is a much better app. The assignments are actually readable and notes are there from the teachers. I can see all the assignments under “Assignments” and the missing are in red. The weekly and daily view are also helpful. 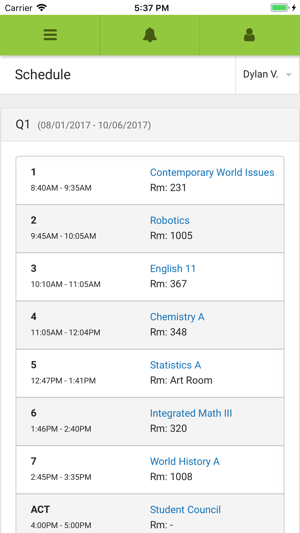 Having the schedule on the daily assignments page makes it easier to see when things should be turned in. I hated the fact that the other app only showed some of the words for an assignment name and if I wanted to see everything I had to go to the website. Oh, and not having to click on update every time I open the app is going to keep me from yelling at my son. This app works okay when it actually works. I understand the switch from the old app to this one, but it is not reliable. I got logged out and could not log back in. It would just go back to the login page. I tried the desk top website after they reset my password like they suggested. It still did not work for me. I uninstalled and reinstalled the app like they suggested. And it STILL did not work. I finally had to contact the school and have them reset my password AND set my password. I still can not log into the app after all of that. I understand schools going paperless, but we HAVE to have a reliable way to get our kids grades. 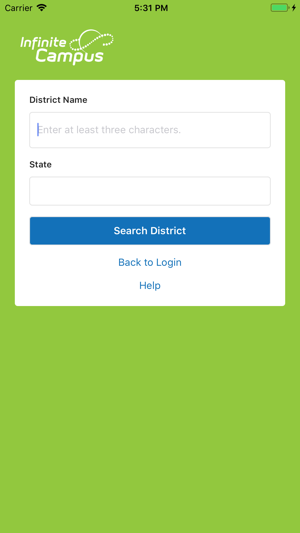 I hope they get this app figured out because it is not helpful when we can’t even get logged in. Very frustrating.